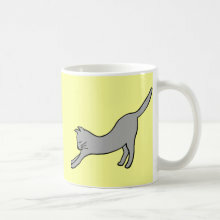 New designs: gray cats and purple hedgehogs! 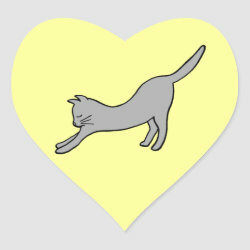 Just a quick blog post to let you all know that I have two new designs up in the shop. Both are on yellow background. I must have been in the mood for a little extra sunshine when I was designing these! It has been raining so hard here in Portland this past week. 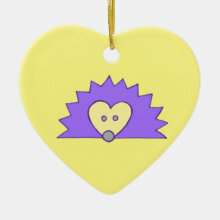 The first design is of a whimsical purple hedgehog with heart shaped face. 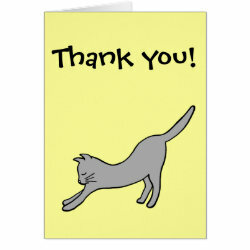 The simple, bold lines of this design work well for both adults as well as kids, or even to welcome a new baby!